Dusty (Eve Mauro) is on a desperate mission to rescue her brother, a conspiracy theorist who is convinced Osama Bin Laden is still alive. In Afghanistan, she falls in with a team of Special Forces soldiers on a secret assignment. 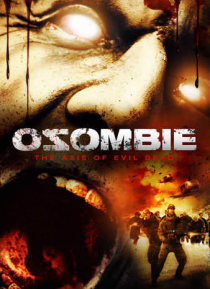 When the group crashes headlong into a zombie apocalypse, Dusty and the troops realize they must find and destroy the root of this evil before it's too late.